Here you will find exclusive wood and floor oils. The wood grain of your wood floor will be highlighted dramatically in a special way. The base oils are translucent and not opaque, but with the use of our high quality pigment pastes. The natural structure of the wood will be particularly underlined to give your floor more character. The surface dries to a semi-gloss finish, leaving the material with a soft, appealing appearance. The base oils can also be used for untreated wood floors indoors. Our Floor Oil contains much stronger, tear-resistant and higher pigmented levels in comparison to our furniture and table oils. Floors are generally exposed to severe stress and heavy traffic. After the floor has been treated with our floor oils, the treated area remains extremely durable and can maintain its color for a very long time. If, for some reason, the color of the wood tarnished over time, simply use our special application sponge to keep your floor as good as new. The satin oil is massaged with a special sponge in the wood. You can purchase it in our shop. For larger areas, you may use a floor polisher or buffer as long as it has been equipped with the proper sponge. The satin oil protects and upholds the treated surface, even in high stress conditions. This wood oil is especially developed for wooden floors that are untreated or oil treated. The White pigment paste has been offset with Floor Oil. A special sponge should be used in order to apply the best possible coat. This wood oil is especially developed for wooden floors that are untreated or oil treated. The Black pigment paste has been offset with Floor Oil. A special sponge should be used in order to apply the best possible coat. This wood oil is especially developed for wooden floors that are untreated or oil treated. The Jensen Grey pigment paste has been offset with Floor Oil. A special sponge should be used in order to apply the best possible coat. This wood oil is especially developed for wooden floors that are untreated or oil treated. The Rosenholm Grey pigment paste has been offset with Floor Oil. A special sponge should be used in order to apply the best possible coat. This wood oil is especially developed for wooden floors that are untreated or oil treated. The Verona Green pigment paste has been offset with Floor Oil. A special sponge should be used in order to apply the best possible coat. This wood oil is especially developed for wooden floors that are untreated or oil treated. The Chrome Oxide Green pigment paste has been offset with Floor Oil. A special sponge should be used in order to apply the best possible coat. This wood oil is especially developed for wooden floors that are untreated or oil treated. The Greenland Green pigment paste has been offset with Floor Oil. A special sponge should be used in order to apply the best possible coat. This wood oil is especially developed for wooden floors that are untreated or oil treated. The Italien Red pigment paste has been offset with Floor Oil. A special sponge should be used in order to apply the best possible coat. This wood oil is especially developed for wooden floors that are untreated or oil treated. The Persian Red pigment paste has been offset with Floor Oil. A special sponge should be used in order to apply the best possible coat. This wood oil is especially developed for wooden floors that are untreated or oil treated. The Caput Mortuum pigment paste has been offset with Floor Oil. A special sponge should be used in order to apply the best possible coat. This wood oil is especially developed for wooden floors that are untreated or oil treated. The Gold Ochre pigment paste has been offset with Floor Oil. A special sponge should be used in order to apply the best possible coat. This wood oil is especially developed for wooden floors that are untreated or oil treated. The Copenhagen Brown pigment paste has been offset with Floor Oil. A special sponge should be used in order to apply the best possible coat. This wood oil is especially developed for wooden floors that are untreated or oil treated. The Violet pigment paste has been offset with Floor Oil. A special sponge should be used in order to apply the best possible coat. This wood oil is especially developed for wooden floors that are untreated or oil treated. The Prussian Blue pigment paste has been offset with Floor Oil. 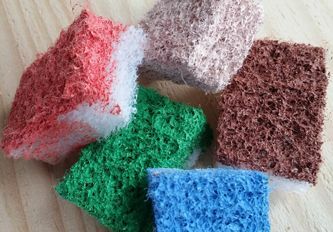 A special sponge should be used in order to apply the best possible coat.